How much should you worry about these costs? The data suggests you should worry a lot. Can you afford these costs, lost productivity, and distraction from your organization’s critical mission? When there’s an increase in employee turnover, there may be underlying team conflicts. 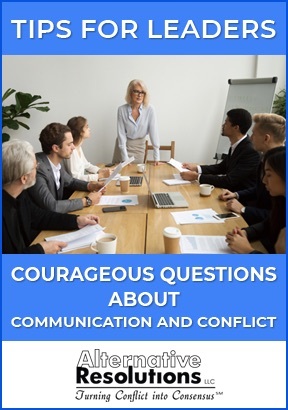 At Alternative Resolutions, LLC, we dive into these thorny issues and help parties resolve conflict EARLY before it eats at your bottom line and keeps you awake at night. 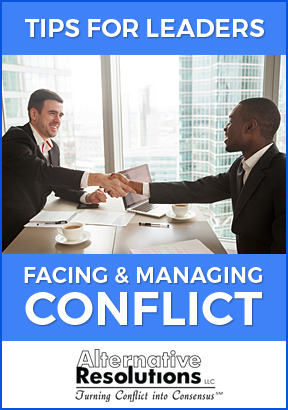 We reduce the toxicity that spreads through an organization when conflict occurs. We care about helping organizations achieve their goals and turn conflict into consensus and an opportunity to produce lasting change. Call 301-588-5390 to schedule an evaluation or email me: ek@alternativeresolutions.net.